When I was about 22 I found a book in the library about getting artistic photographs from instant cameras. In it the author mentioned a collection of photos called The Diana Show. 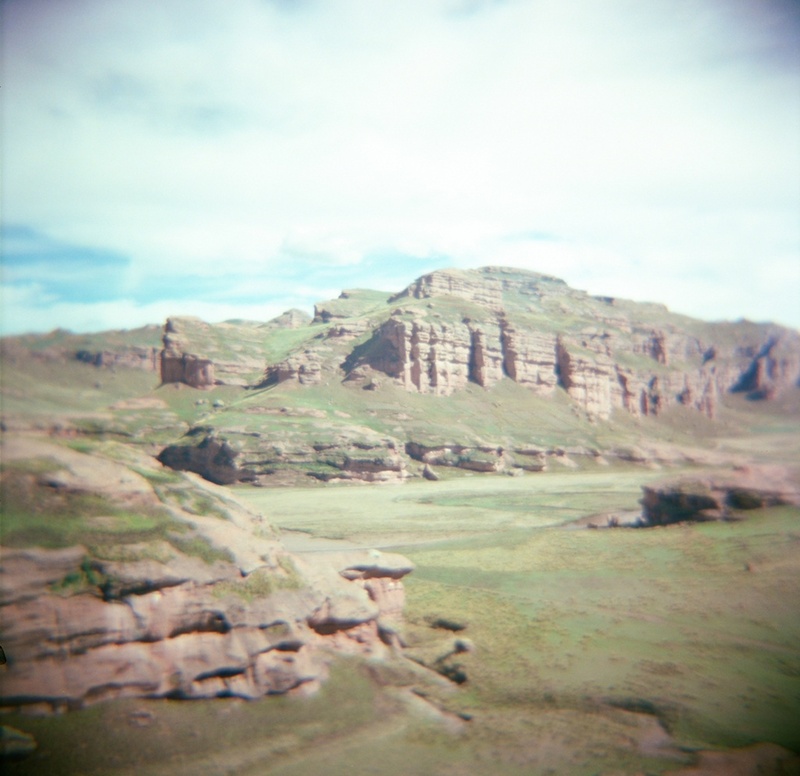 Many years later I ordered a copy off of Ebay and fell in love with toy cameras. Photos like this one by Sally Gall were so visually different than anything I'd seen produced by my Kodak Disc (remember those) or 35mm. From that point on, I really wanted to make photos like that. I had no computer, and so no idea what terms like Holga or Lomo meant, but I found that sometimes cheap, disposable kodak cameras produced a similarly tweaked image. I tried a Joycam, photos through the viewfinder of an Argus 75, Polaroids SX-70 and 210, and, yes, a Diana. There's liberation in toy and contraption photography: the devices are light, they won't break me if they break, they alter the image just enough to seem more "real" than what my eyes caught, and when I hold them, I just don't care about the rules of photography. 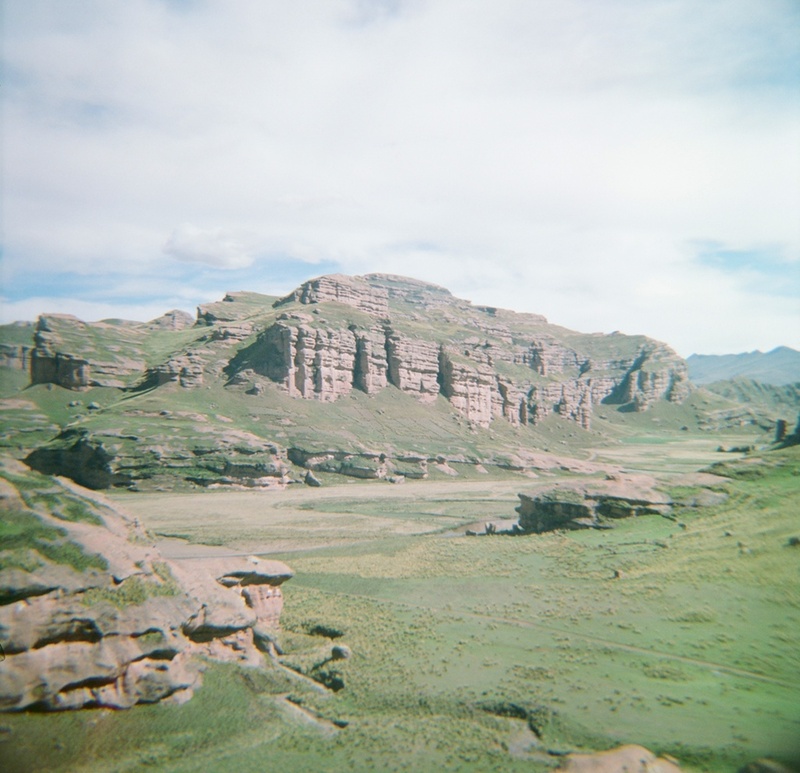 I recently waded through my closet and surfaced with 2 rolls of film from my Diana. As part of my birthday celebration we drove to a studio that could develop them- one crazy party, huh? One had four shots and the other had only three, possibly lens cap issues. 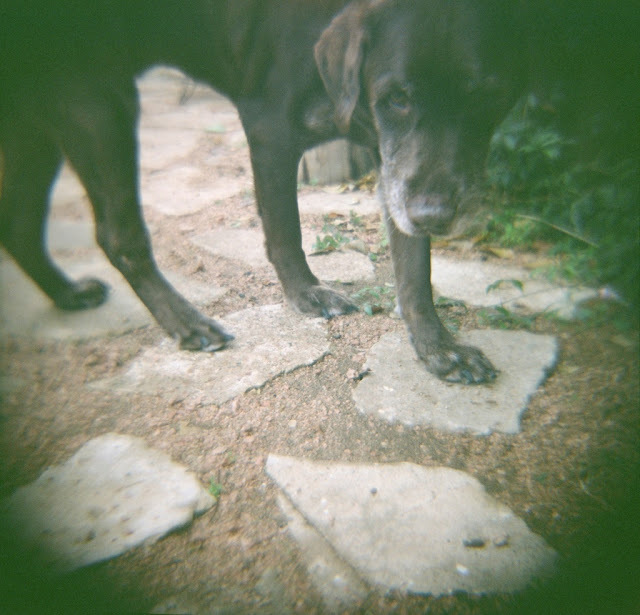 Of course, once we were home, I found three more rolls. So there's that to look forward to. I have no idea where the shot below was taken. None.